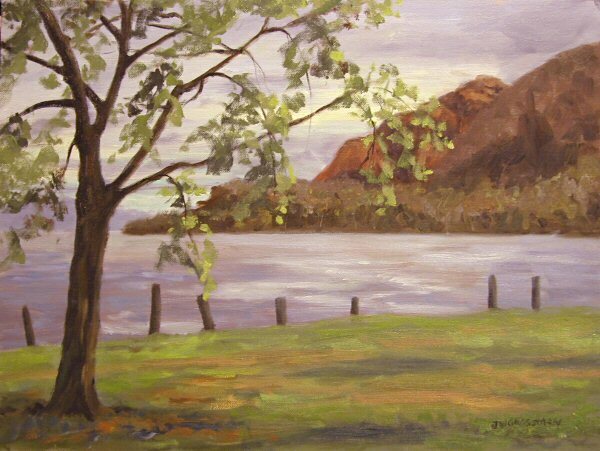 I started this painting in the spring on location along the shores of the Hudson River in Cold Spring, New York. The lighting changed rapidly, and I was unable to finish it on location. I finally pulled it out and finished it from a photo that I took that morning. 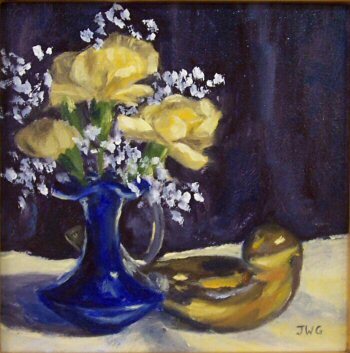 I’ve been so busy with the house painters here that it’s been nearly impossible to get out to paint, and when I do, I can’t seem to find the time to take photos of the paintings and get them uploaded here. Today I went over to my friend Mary’s house and had a lovely late day mini-paintout with her in the back yard. This is a view facing her neighbor’s house. 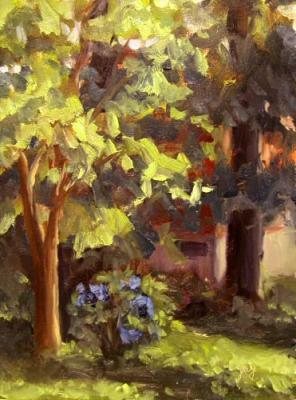 I loved the late day light hitting the tree, with the dark, heavily shaded background. A friend gave me this beautiful Shaker basket. 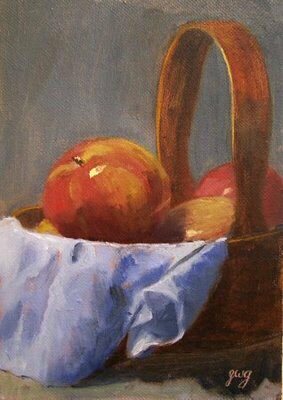 I painted it with the apples in my studio, adding the blue cloth napkin for softness and visual contrast.